Thank you for visiting the Region B Homepage. There have been many updates and changes to FYSA over the past year and we want to make sure that you have the most up-to-date information available coming from the state office or from US Youth Soccer. The Region B page includes all of the contact information for the region and ongoing news that impacts our area. The Regional Commissioners and I are here to assist with any needs that you might have. I sincerely appreciate your vote for Region B VP and will continue to work hard to make you proud of your vote. I know that it’s been since August that many of you have heard from me, I am working diligently to get a handle on the major FYSA information and become more knowledgeable of the items that are due my attention. I will stay in touch with you through emails and newsletters. We are well into the season and we have seen tremendous effort from all of the clubs to keep going strong this season. We have prepared for our season with several committees represented members of clubs in region B. We had our first BOD meeting this weekend. Oct. 19th-21st. I am compiling an update to you all on any and all pertinent changes that occurred at this meeting. Please update your Agent of Records information and your DOC’s email in a return email. The championship series site hosting information is up on the FYSA website http://www.fysa.com. I encourage all of your clubs to support the commissioner’s cup by filing a hosting application as soon as possible. If you have any other issues, or just want to talk about soccer and how we can make Florida Youth Soccer Association a better experience for everyone, call or email me and I will get back to you very shortly. If you have any questions or concerns, please contact me at rvpb@fysa.com. Region B Commissioner’s cup went off without a hitch. A HUGE THANK YOU for the truly magnificent support of the Region B North Commissioner – Terri Towers, Region B South Commissioner – Paul Gray and Registrar – Alice Smith, also Site Directors, Eric Heidel, Kristie Oettl, Andrew Simpson and Jonathan Quinter who worked tirelessly to show steadfast support, loving camaraderie and commitment to the great game of soccer. A big thank you goes out also to Jill Hartley, Michelle Cook and Jonathan Spradley who constantly helped to guide me through the chaos and turmoil of my 1st Commissioner’s Cup that had me sometimes questioning my reasoning as well as my sanity. Many teams traveled over 2 hours and stayed in numerous hotels to play at Region B parks Florida for the weekends of February 2nd and 3rd, again on February 23rd and 24th March 16th and 17th. 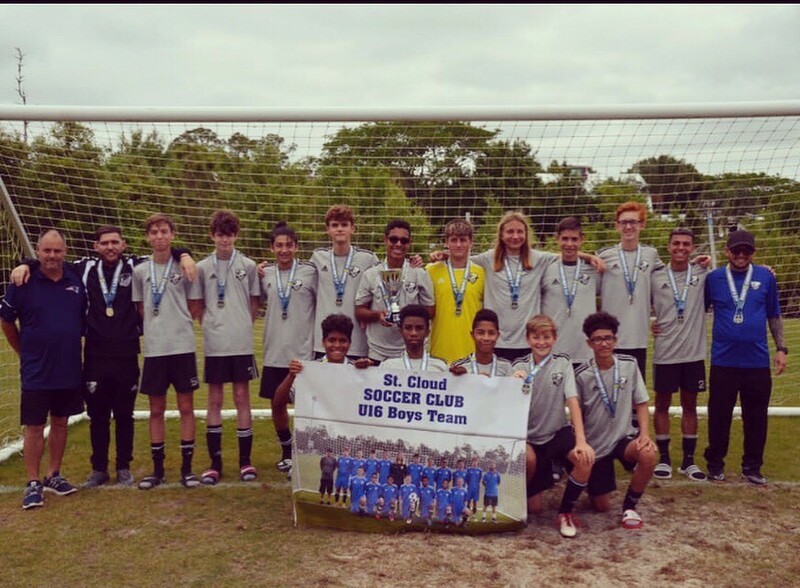 Region B Commissioners Cup had 199 teams with 3184 youth soccer players age U11 to U17 spread across 6 beautiful sites Melbourne, Jacksonville, South Orlando, Lake County, Viera, and FKK throughout the region. We were fortunate to have had only 5 red cards delivered. THANK YOU also to the Parents players, coaches and family members who made the trip to watch and cheer on their prospective soccer enthusiast. What a great game!! There was a whole lot of networking and contacts as well as new friends made. Thank you to all those who participated in any way, shape or form.